Today, the threats that administrators from IT security sectors are facing range from those that can be described as small attempts to produce chaos to huge and very refined attacks that are aimed at the heart of any organization. This is the reason why it is important to implement serious security capacities and be prepared to use them in the case of an attack on the network used by any kind of enterprise. 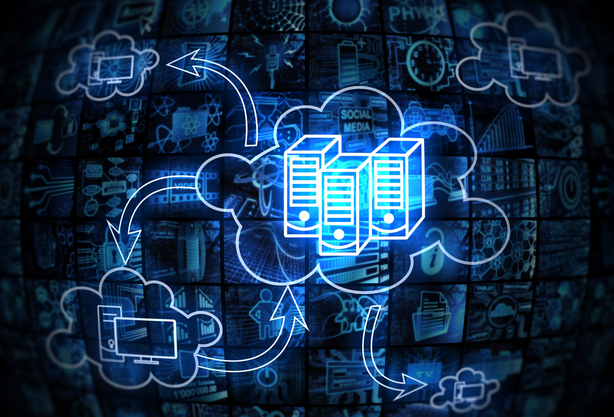 Data center virtualization is a way how this process can be enhanced even further. The virtualized environment is definitely a step forward compared to standard systems of data protection utilized by old-fashioned networks. These older systems are focused on shielding a network from traffic that is coming from the outside. Now, even though these kinds of data shields are still welcomed, the nature of modern business and other endeavors mean that traffic flow needs to continuously happen between networks and the outside environment. This is the moment when data center virtualization can prove to be indispensable. Virtualization is a procedure that allows for a different kind of network architecture. It can be used to offer cost reduction, power saving enhancements and as a general consolidation tool. But, at the same time, using it also creates new challenges for the IT teams that run and organize it. This is also the reason why the initial phase of this process needs to be really carefully devised and implemented. Because of these facts, here are the crucial points in the conceptualization of any kind of data center virtualization process for maximum security. Using devices to access any virtual data center should be tightly regulated and controlled. The infrastructure used for data access via different devices should be thoroughly hardened and employ the AAA standard for allowing control of access and the initial logging processes. The same should also require devices to be authenticated and then authorized by some form of ACS (Access Control Server). But, a fallback system on a local network should also be available if some or all of ACS servers prove to be unreachable. Often, attacks on data centers will take up the form of DOS (Denial of Service) intrusions, so any data center virtualization needs to employ systems that follow bandwidth, looking for any unusual activity. The same should also limit the amount of traffic that can be allocated to any single device and redirect it if need be. This goes for both inbound and outbound traffic because both can become a problem if the data center is compromised. This is why it is really important to have safeguards that constantly measure it and react when it is needed. NetFlow, first introduced by Cisco Company, allows for the collection of traffic based on IP networks as it passes through the system interface. These can be used to determine the sources of the traffic, their destination, and many other important factors. On the other hand, Syslog follows production and storing of internal system messages. Both need to be configured in the right manner to allow data center virtualization to be correctly conceptualized. NTP or the Network Time Protocol offers any virtual data center an indispensable way of logging and time marking all access to a system. The same should be enabled on any device that is used during a data center virtualization process, no matter what its function is in the broader network. These can be very important for any troubleshooting procedure that might come during the conceptualization process, but also when the virtual center is activated. Employing these steps during the conceptualization of a data center virtualization process will prove to be exceedingly helpful for any kind of future virtual network. The same actions can both make the network easier for construction and maintenance, but also much safer when it comes to data security. Deney Dentel is the CEO at Nordisk Systems Inc., a managed data backup and recovery solution company in Portland, OR. Deney is the only localised and authorised IBM ProcTIER business partner in Pacific Northwest. Deney Dentel is the CEO at Nordisk Systems Inc., a managed data backup and recovery solution company in Portland and Deney is the only localized and authorized IBM Procter business partner in Pacific.